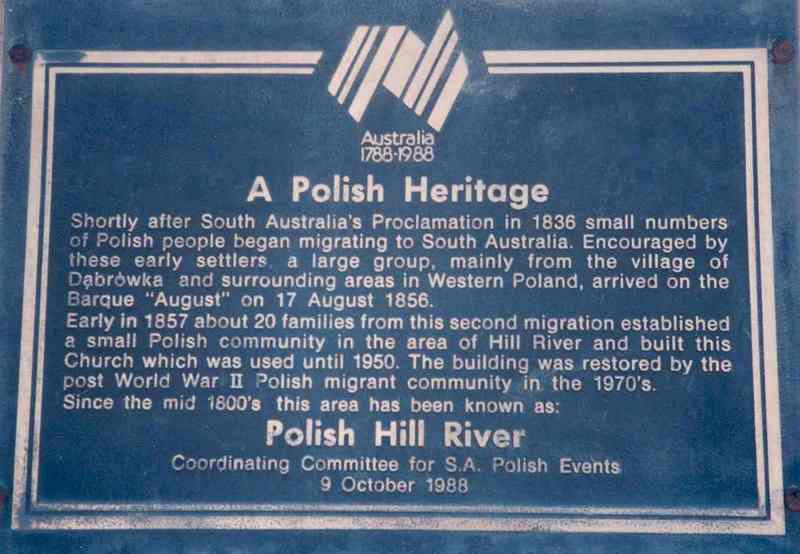 The Polish Hill River Church Museum has been established by the South Australian Polish community in order to document and commemorate the contribution of Polish migrants to the development of the State. On the 24th July 1980 the Polish Hill River Church Museum was placed on the register of State Heritage Items. It was officially opened by Monsignor Horgan on the 9th October 1988. By 1996 a committee was elected to organise the displays in the museum and arranged for it to be regularly opened to the public. The museum is now registered under the "Museum Accreditation and Grants Program" and administered in accordance with the History Trust of SA requirements. This website was funded by a grant from the Blum Foundation which is managed by the ANZ Trustees. PHRCM have received a new acquisition of which we are excited and proud of. The Labor Government was re-elected for a third four-year term. On Thursday 25th March 2010 the Governor of SA, His Excellency Rear Admiral Kevin Scarce AC, officiated at the swearing-in of Mr. Mike Rann as Premier and the Ministry. Mr Rann was sworn in using a Polish Bible which was presented to him by the Prelate of St Mary’s Basilica, Krakow, Dr Fidelus. 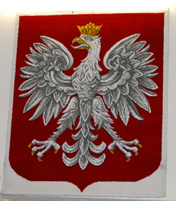 It was done so in order to convey his respect and affection to the Polish community. Given that he would be the first Australian Premier ever to be sworn in using a Bible in the Polish language, Mr Rann very kindly donated it to the Polish Hill River Church Museum. The Hon. Mike Rann M.P. 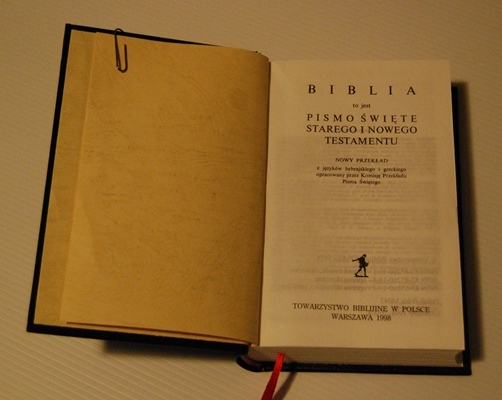 South Australia’s 44th Premier, was sworn in for his third term as Premier at Government House, Adelaide, on the 25th March, 2010 with this Polish Bible. In 2008 Mr. Rann was awarded the "Commander’s Cross of the Order of Merit of the Republic of Poland". 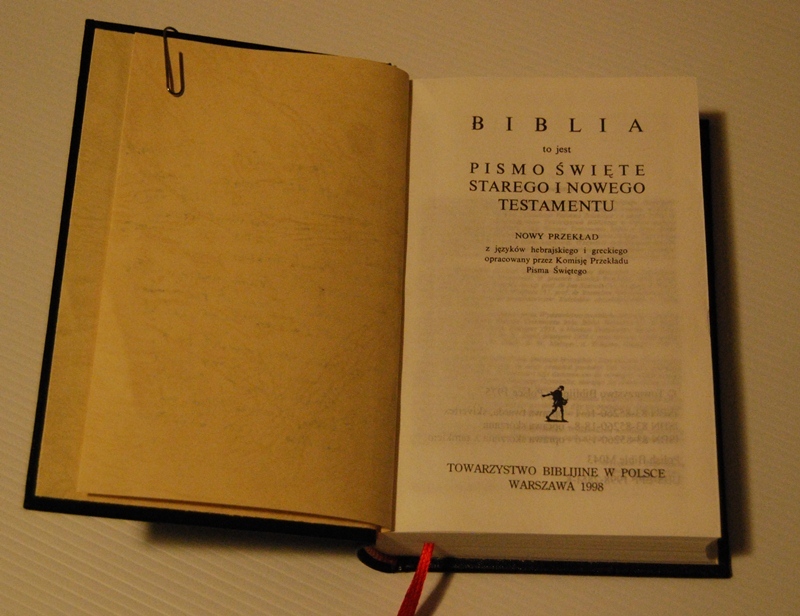 This bible was presented to the Premier in December 2008 in St. Mary’s, Krakow, by the Prelate, Dr. Fidelus, a close friend and former assistant to Pope John Paul. History SA's blog on the Gala Picnic.